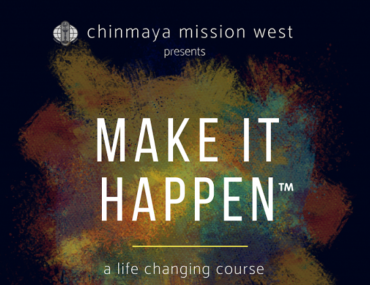 In the summer of 2011, Chinmaya Mission Toronto moved to our new location in Brampton. Our centre is also known as Chinmaya Vedanta Heritage Centre – Chinmaya Shivalaya. We have grown vastly over the years continually striving to fulfill Gurudev, Swami Chinmayananda’s vision of propagating spiritual upliftment to all corners of the world – starting with our own communities. Swamini Shivapriyananda is our Senior Swamini for Chinmaya Mission Toronto – Shivalaya. Inspired by Pujya Swami Chinmayananda, Swamini Shivapriyananda completed the brahmachari course in Bombay in 1986 and was posted as Acharya of Chinmaya Mission Toronto. She received sannyasa initiation (diksha) from Pujya Swami Tejomayananda on Shivaratri in 2003. Swaminiji teaches adults and youth through lectures, seminars and workshops. Also, she conducts stress management courses as well as relaxation training. Swaminiji is an inspiration and guidance behind our Bala Vihar success. 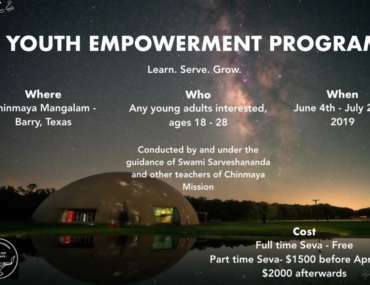 Devji: After working as a Chartered Accountant, Dev developed a strong interest in a life of self-development and service, and joined the 2013 Residential Vedanta Course in Chinmaya Mission Trinidad and Tobago under the guidance of the beloved Swami Prakashanandaji. Having studied Sanskrit and Vedanta for almost two years, with the grace and guidance of Pujya Guruji and deeply inspired by his Acharya, Dev decided to make his primary aim serving Swami Chinmayananda’s vision. He is currently posted in Toronto, conducting satsangs and study classes for adults, seniors and youth, managing our Bala Vihar program and other ashram activities. 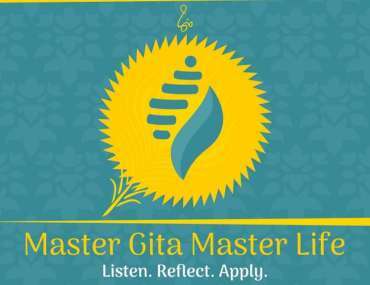 Ginaji: Under the loving guidance of Swamini Shivapriyananda, Gina received blessings from Guruji to join the Residential Vedanta Course in Trinidad and Tobago in 2013. After almost two years studying Vedanta and Sanskrit, having been moved deeply by the love and divinity demonstrated by beloved Swami Prakashananda, Pujya Guruji and Pujya Gurudev, Ginaji decided to serve the Mission full time. She is currently posted in Toronto, conducting satsangs and study classes in Bhagavad Gita and Ramayana, Sanskrit, and managing various ashram activities including our Bala Vihar program.